“UFC on FUEL TV: Gustafsson vs. Nogueira” takes place April 14th inside Ericsson Globe Arena in Stockholm, Sweden. UFC Fight Club members have the opportunity to purchase seats for the show today at 11am CET. The general public will have access to the remains on Friday, January 13th at 9AM CET via Ticnet. 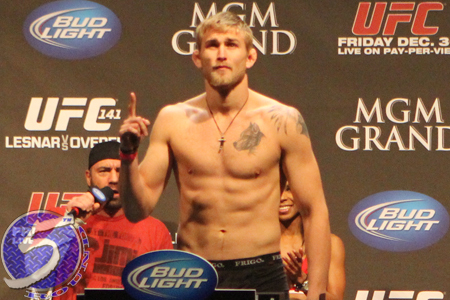 A light heavyweight shootout between Sweden’s own Alexander Gustafsson (Pictured) and Antonio Rogerio Nogueira headlines the festivities. FUEL TV will air the main card live in North America at 3PM ET/12PM PT.